The Westwood home at 2248 Greenfield Ave. lasted 14 days on the market before receiving an accepted offer on 1/26/11. 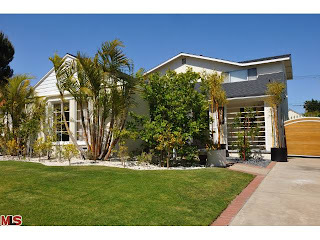 Listed on 1/12/11 for $1,199,000, there were no price reductions during the current listing term. However, the home was listed for 150 days starting in April 2010 at $1,298,000 and ending at $1,998,999. 2248 Greenfield Ave. closed on 3/28/11 with a final sales price of $1,170,000. According to the MLS, the home is a 5 bedroom / 4 bath, 2,976 sq ft of living space on a 6,750 sq ft lot.